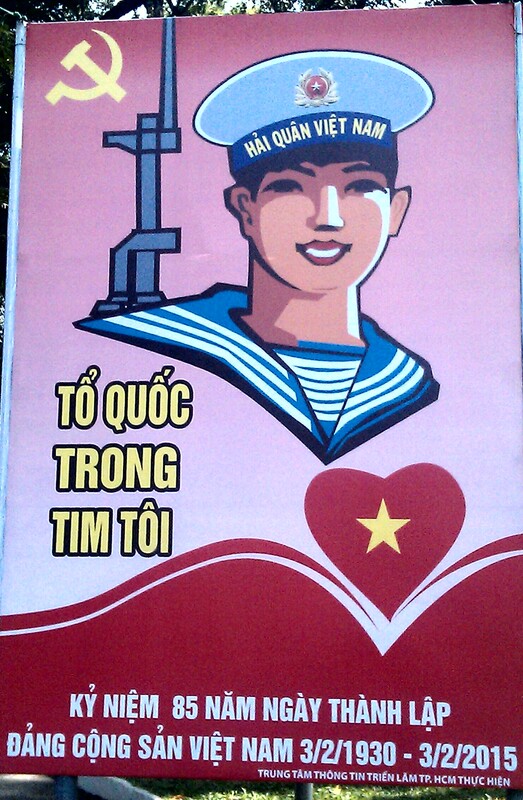 We had one day in Ho Chi Minh & the touts were keen to sell us a tour. Instead I Googled ‘walking tours’ & armed with a map, we set off on our own adventure! A note before we start! Traffic in Ho Chi Minh is manic, like Bankok & Phnom Penh but the roads are wider, so there is more of it. To familiarise yourselves, here a clip from YouTube I think you’ll have enough after 2mins rather than the full 6mins the clip provides). However, if you remember the following ‘rules’ a walking tour is great! So now, on with the walking tour. Most of the sights appear to be in District 1 which was where we were staying. 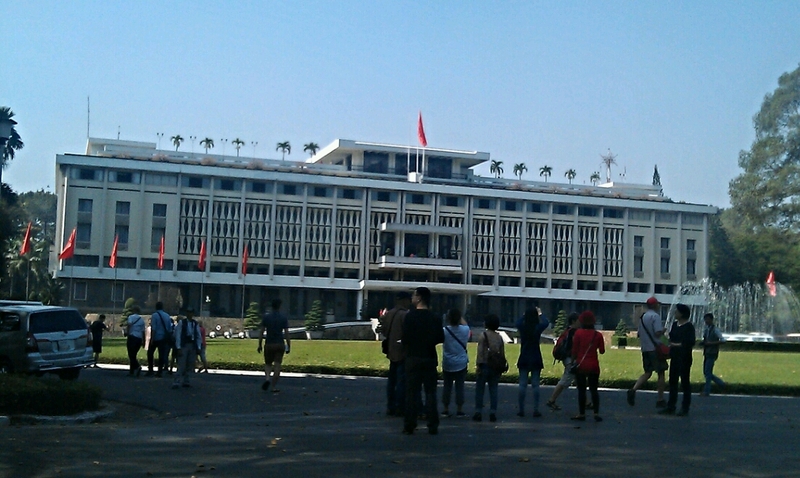 It was the home for the President of South Vietnam during the Vietnam War. 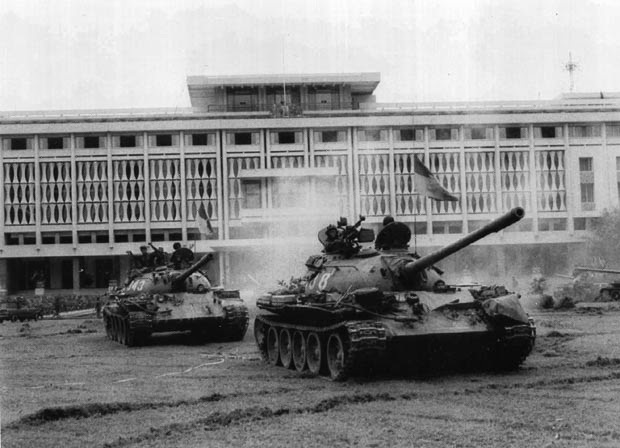 It was the site (at the end of the Vietnam War during the Fall of Saigon on April 30, 1975) when a North Vietnamese Army tank crashed through the gates. 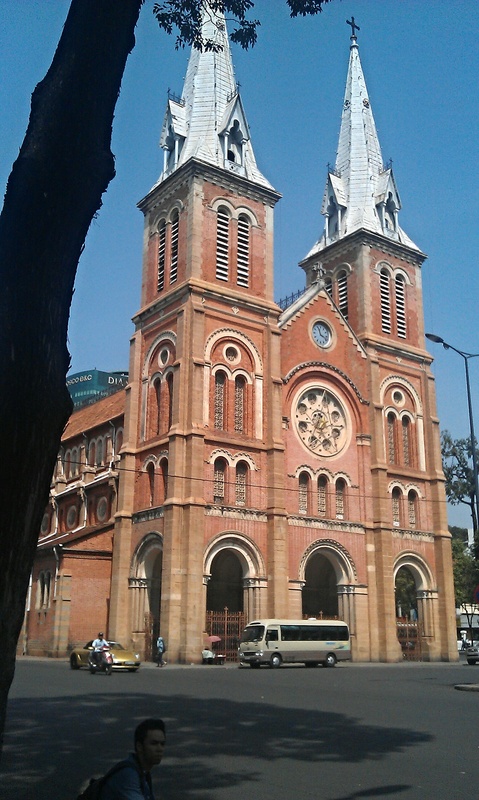 Constructed by the French between1863-1880. 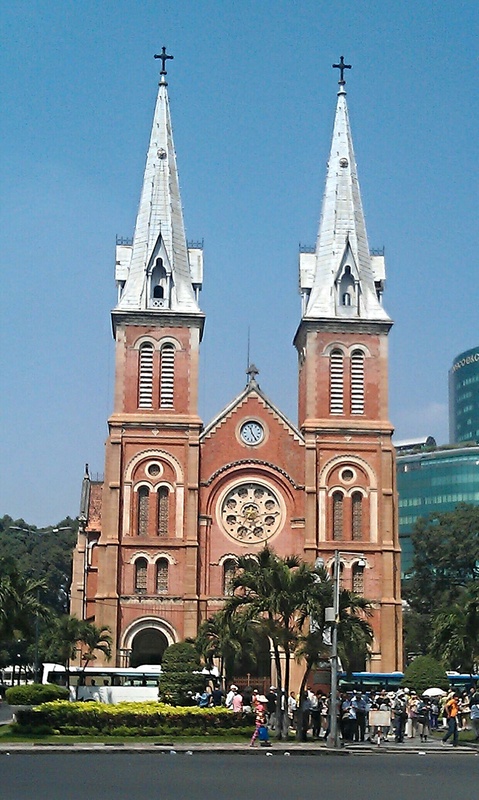 Built in 1897 by French architect Eugène Ferret as the Opėra de Saigon; it has 800 seats. 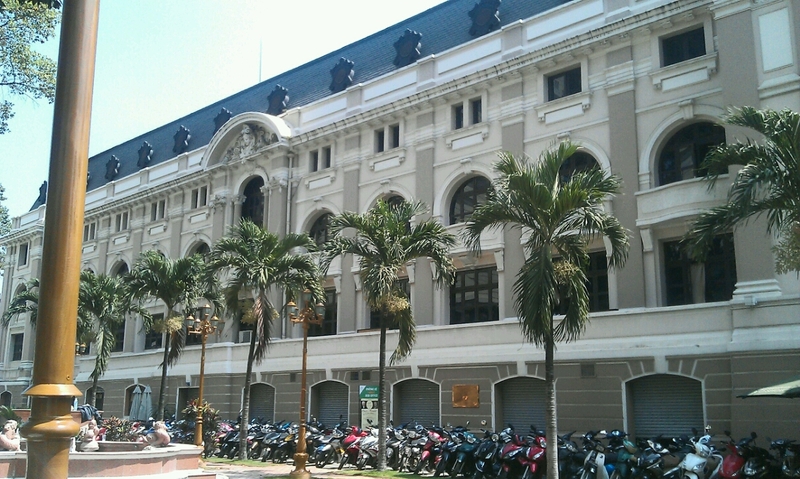 The building was used as the home of the Lower House assembly of South Vietnam after 1956. 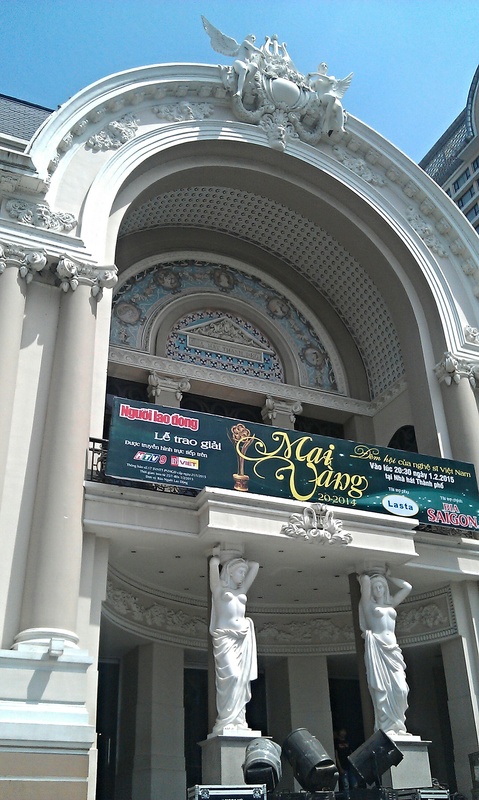 It was not used again as a theatre until 1975. It was restored in 1995. 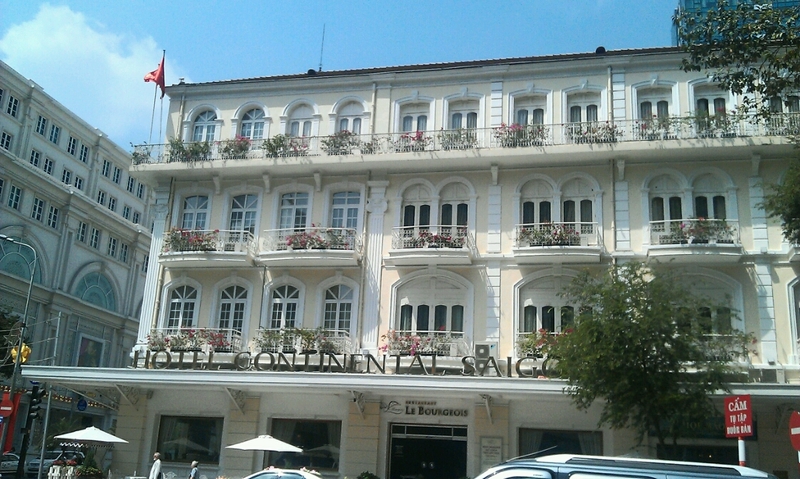 The building was built in 1898 & opened as a hotel in 1909 (Hôtel de Ville). It was designed by Gardes, a famous French architect. 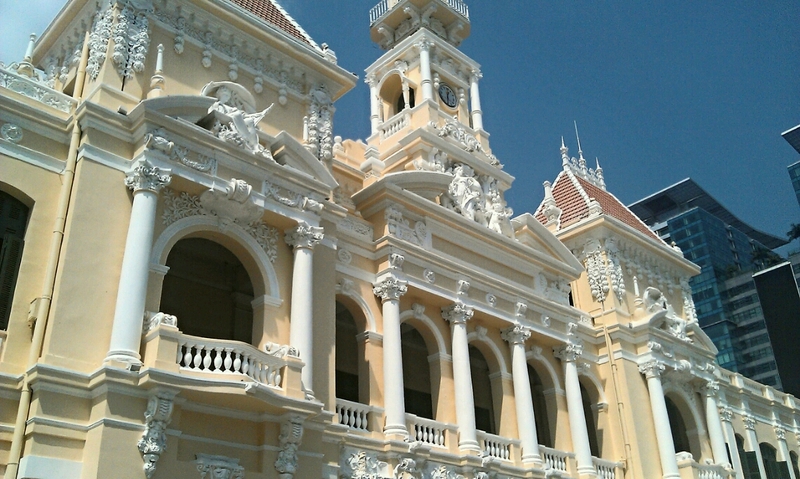 It is one of the oldest and most beautiful French style buildings in Ho Chi Minh City. 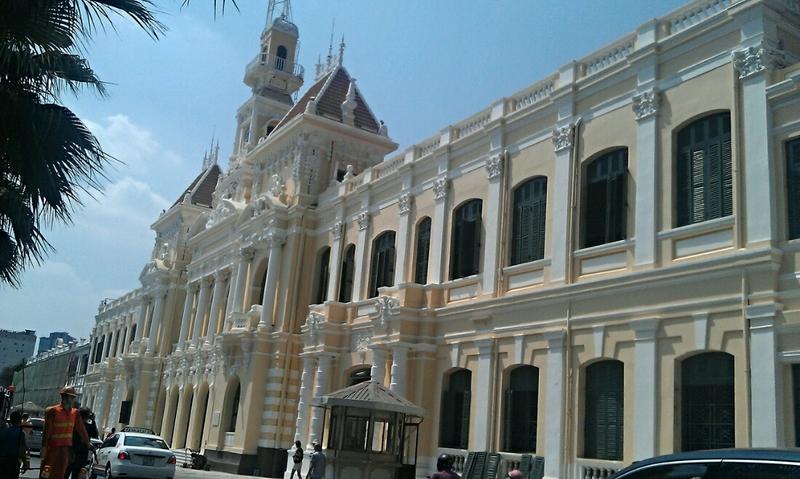 Near to the People’s Committee Hall, Unfortunately we missed it due to a coffee stop & then got lost. At the end of our walk we needed a rest & the shade of the park was welcome. 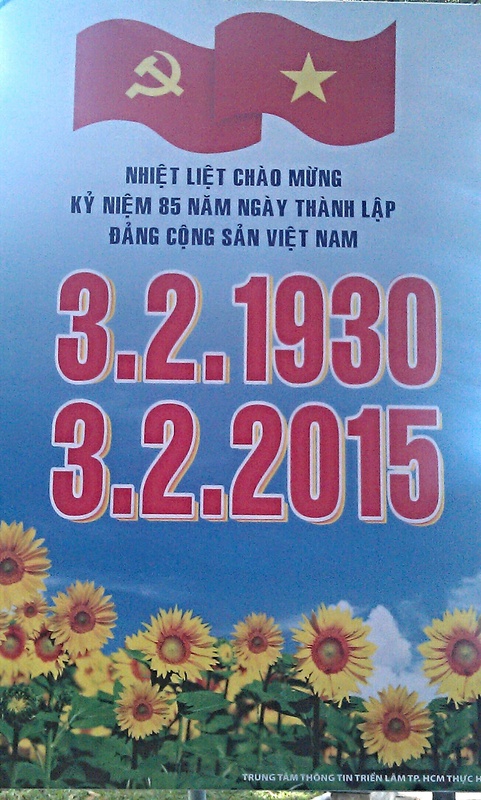 It was being prepared with decorations for Tet (Vietnamese New Year) on our visit. There are loads of amazing buildings, hotels & expensive shops to see en route.